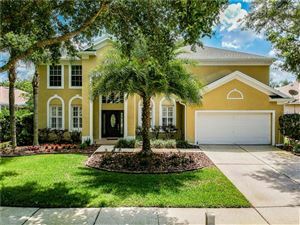 Ballantrae is a beautiful planned community in Land O Lakes, located one mile east of the Suncoast Parkway and 20 miles north of Tampa and Tampa International Airport. Ballantrae is a deed restricted CDD community comprises of 436 acres of land with single family homes 969 homes surrounded by natural conservation land, well maintained ponds and lakes. Community residents enjoy a peaceful living with wide sidewalks, lots of lakes and nature preserves in a relaxed and friendly neighborhood. Ballantrae Community is organized into five distinctive villages – Ayrshire, Braemar, Cunningham, Castleway, & Lintower, featuring a community pool, sand volleyball court, tennis courts, children’s playground, basketball courts, Play ground and recreational centre.